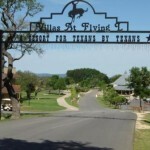 The Flying L Guest Ranch Bandera Texas became a 542-acre “dude ranch” in 1946, when Jack Lapham (the “L” in Flying L) purchased it from the original Polish settlers. At that time, Lapham was a retired Air Force colonel. His dream was to create a place “where modern people can go and find themselves in the midst of yesterday.” Flying was his love, so the colonel built an airstrip and ran a flight school here. New aircraft were also tested here and new aircraft designs were introduced at the Flying L.
The Flying L Ranch became a favorite “watering hole” for war heroes, movie stars, and literary giants. 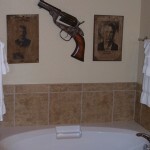 The Ranch’s guests have included John Wayne, Slim Pickens, Willie Nelson, Tex Ritter, Jim Reeves, Ray Price, Buck Owens, Chill Wills, Robert Fuller and many more. The television show, The Cisco Kid, was filmed at the Ranch. 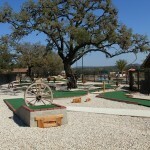 The ranch was transferred to new owners in 1984 as it grew to become a much larger enterprise. The current owners, many of whom were employees of the Ranch in the 1980s and 1990s, took the reins in January 1998. Many changes and improvements continue, both to bring guests more conveniences, but also to protect and enhance the original and historic designs of the facilities. 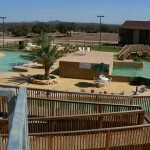 Today, the Flying L Ranch Bandera is a highly rated (Premier) resort, with a unique combination of guest or dude ranch, resort, and conference center. 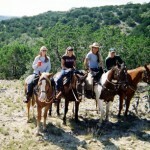 It is more diverse than any other guest ranch or resort facility in the area. 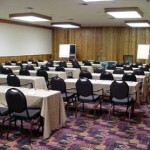 The Flying L Guest Ranch hosts family vacations, family reunions, corporate groups, golf groups and tournaments, youth groups, church groups, day groups and more. 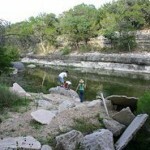 Stay with us when you visit the Texas Hill Country. 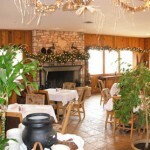 To quote one of our guests, “Whoever said you can’t have it all, has never been to the Flying L Guest Ranch”. 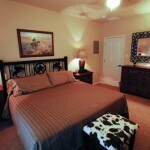 Flying L Guest Ranch Bandera offers a wide variety comfortable country-style luxury lodging accommodations. 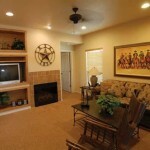 The 12 one bedroom Golf Suites are by the Pro Shop, and measure a Texas-sized 850 square feet. 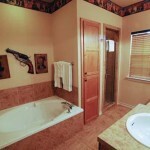 These recently remodeled holiday rentals also feature Texas-themed decor, with a king bed in the master bedroom and a queen sleep sofa in the living room. Each villa includes a full kitchen and one bathroom with either tub/shower combo (upstairs) or separate garden tub and stall shower (downstairs). 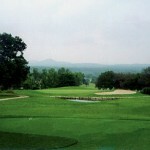 Enjoy a tranquil countryside and golf course view from your deck or patio. 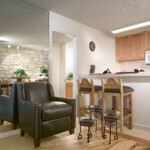 Large free laundry room available downstairs, shared by all Golf Suite guests. 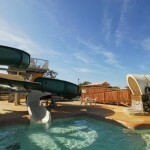 The 16 one bedroom Water Park Suites are by the Outdoor Pool and WaterPark, and are almost as big as “all outdoors” at 871 square feet, making them the largest 1BR condo vacation rentals on the Flying L. These villas have all-Texas furnishings, and provide a king size bed in the master bedroom, a queen sofa sleeper in the living room, and 2 twin/bunk beds in a small alcove room. Each villa includes a full kitchen and one bathroom (access doors from both the master bedroom and the living room) with his-and-hers sinks, toilet in separated area, separate garden tub and stall shower. Stack washer dryer laundry room in unit. Electric fireplace for those “cool” nights. 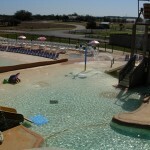 Enjoy a Lone Star Lagoon outdoor water park view from your deck or patio. 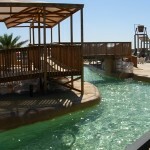 The eight one bedroom Ranch Suites are very similar to the Water Park Suites. 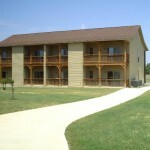 Ranch Suites are found near the Main House, which is centrally located, and also measure 871 square feet. These villas also have all-Texas furnishings, and provide a king size bed in the master bedroom, and a queen sofabed in the living room. Each villa includes a full kitchen and one bathroom with his-and-hers sinks, toilet in separate room, separate garden tub and stall shower. Full size washer dryer laundry room in unit. Electric fireplace for those “cool” nights. 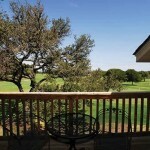 Enjoy a ranch view from your deck or patio. 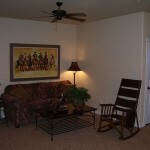 The Ranch Suites are side-by-side and “lock off”, so you can rent two 1BR condos and make them into a 2BR villa. Please view the photos at the bottom of the page, or click here for more photos and background information. 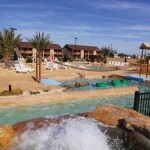 Compare and save by renting from us — the regular resort rate (which is for room only and does not include use of most onsite amenities) for a 1BR Golf, 1BR Water Park, or 1BR Ranch Suite is $209 per night for room only, or about $1600 per week with taxes (source: Flying L Guest Ranch). 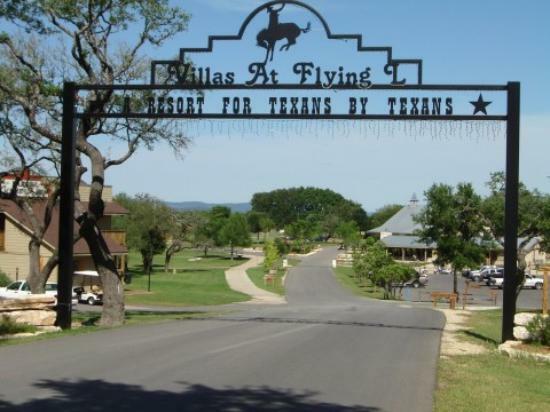 Guests at the Flying L Ranch can choose from an almost endless list of things to do, which range from indoor amusement to a full range of activities utilizing the Flying L’s miles of trail-laden grounds. Many of these amenities and activities are included at no extra charge with your condo rental and others offer discounts to our guests. See Flying L Bandera’s full list of additional activities here. 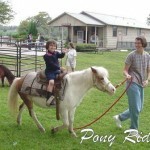 With our comprehensive (and exhausting) daily children’s activities program (ages 3 and up and potty-trained, currently $25 per day per child includes activities and meals), as well as horseback riding lessons, wagon rides, crafts and scavenger hunts, families find it easy to reconnect and share experiences they’ll treasure for a lifetime.